Evelyn was very excited to be the flower girl at my cousin Valerie's wedding this past weekend. She's been looking forward to it for a whole year! It was a great day and it lived up to her expectations - from the fancy dress and shoes, to the limo ride, to the aisle walk/petal drop, to the reception dancing. She had a blast. 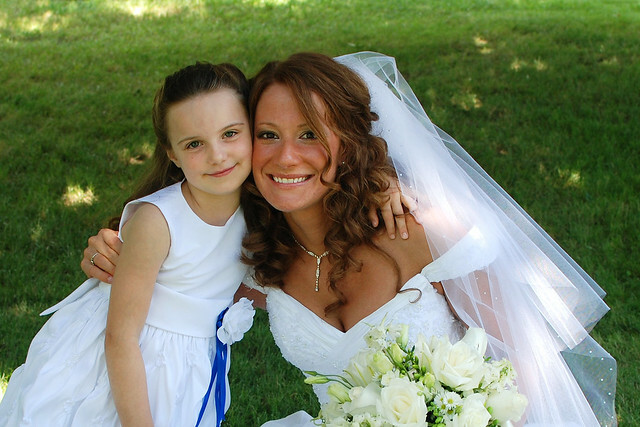 You can tell by the pictures she took in the new Flower Girl! (EvyCam) album on Flickr. So did we. Our photos from the wedding are on Flickr, too.